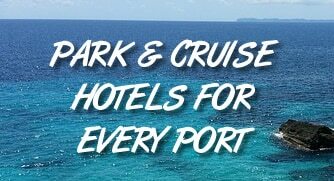 Think of cruising, and you likely think of Miami, Port Canaveral and other warm Florida ports. Carnival is trying to change that and they’ve made a huge announcement for West Coast cruising. Already, the cruise line was working on an expansion of its terminal in Long Beach. The unique facility is a geodesic dome that’s 13 stories at its highest point. And while Carnival has sailed from the terminal since 2003, it hadn’t used the entire space. With the multi-million renovations, Carnival has gone from about 66,000 square feet used to 146,000 square feet. In other words, it has doubled the amount of space to help improve the experience for passengers and make boarding more efficient. According to the LA Times, the terminal was one of the busiest in the country, with ships docking five days a week. Many cruise terminals only see ships on weekend days. The renovation of the terminal, however, is just one portion of the cruise line’s investment into the region. At the opening, Carnival also announced a new ship arriving to the port. “For the first time in 20 years, a brand new ship will sail straight from the yard to Long Beach,” Christine Duffy, the line’s president, said during the opening ceremony Saturday. It’s a big deal for any port to get the latest and greatest ship from any cruise line. It’s a signal that the cruise line sees the port as a major point of emphasis. For the world’s largest cruise line to put its newest ship — which will hold about 4,000 passengers — at a port that it also recently renovated makes an even bigger statement. Once the Panorama starts sailing, she will replace the Splendor, which is moving to Australia. Meanwhile, the Inspiration and Imagination will keep sailing from Long Beach. This news makes it clear that Carnival is placing a big emphasis on the Southern California market where tens of millions of people live within a few hours drive. Should the Panorama be greeted with success, we’d expect more ships of the line’s newer ships to sail from Long Beach in the future.